What exactly is human design? Human design is a cutting edge personality assessment vehicle that is practical, it's easily applied to your everyday life, it's simple, although I have to admit in the beginning it's not always easy, it's reliable and it helps you navigate your way through life changes. Imagine a system that explains how you were built, and how to best respond to the world—like a combination between astrology and Myers-Briggs. Human Design and its creation story is one for the ages: In short, Ra Uru Hu (née Alan Krakower), a former advertising executive and magazine publisher from Montreal Canada, had an eight-day visitation in the ’80s with a “Voice,” who dictated a mechanical system that’s literally a four-hundred- page textbook for how we all work, as defined by our time and place of birth. Human design is a brilliant and practical resource that can have a deep and profound effect on your life. It can be life-changing. 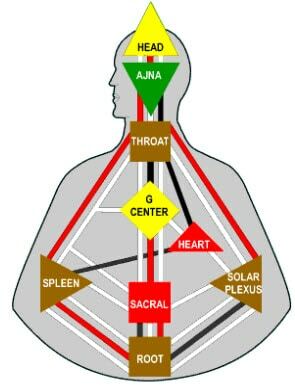 Human design is a synthesis of eastern and western astrology, the Hindu chakra system, the Judaic Kabbalah, the Chinese I-Ching and quantum physics. You might also be wondering, what can human design do for you? Human design will introduce you to a whole new way of looking at yourself, and not just for today, but for a lifetime. Human design can help you discover your special gifts and talents. It will help you work around your limits and to embrace and maximize your natural abilities. Human design will help you understand your behavioral patterns and habits. It will help you understand both yourself and others more clearly. This will allow you to forgo old judgments and beliefs, and be more accepting of both yourself and others. By experimenting with this information you begin to see clearly the places you have been living out what you are not, and learn to begin trusting what is really you to remember again, what it feels like to navigate this as your true self. Human design will show you your potential for growth. Human design will help you identify where you carry your pain and where you are the most vulnerable. It can also help you discover what you might consider to be your greatest weakness, is actually has the potential to be extremely valuable and become a valuable asset to both yourself and to others. How many of you often experience difficulty when it comes to making decisions? Human design can provide you with your own decision-making authority that is both accurate and reliable. Human design can all this and more. Get yourself "unstuck" and create what you want in your life. Where to START: You can download a free version of your chart by clicking here and filling out the form. By understanding your Type, you can avoid behaving in ways that may not be correct or healthy for you. By living your Strategy, you can live the unique and magnificent life you were designed to live, with ease and confidence—a life that you LOVE…and that fits you like a glove! One of the things you’ll also learn along with your TYPE is the SPECIFIC ROLE you are here to play in this life. Your ROLE tells you how you are designed to use: your energy, your unique gifts, and your Strategy. ROLE: You are here to start the ball rolling – to Initiate things. Manifestors can truly "just do it" although you meet with a lot of resistance and anger when you don’t inform people about what you are doing. The correct decision making and action taking strategy for you is to decide what and when you want to do something, then inform those around you (in your “Impact field) before you take action. ROLE: You provide the work force energy – lights, camera, action! Generators are the true builders in the world. STRATEGY: You must wait for something to show up in your outer reality in order for you to respond. You are designed to do work that you love and to find the right partner in life. You (and Manifesting Generators, the next Type) are potentially the most powerful of all Types once you understand your design and find the right work for YOU. Some frustration is a normal and valuable part of your learning process. With awareness of your Strategy and the use of your Sacral energy as guidance, you can minimize any unnecessary frustrations and maximize your learning curve and your correct decision making in all areas of your life. 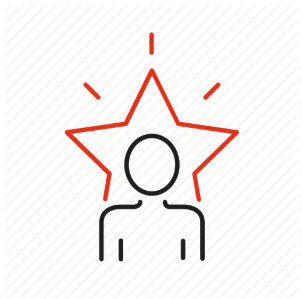 ROLE: You provide the work force energy – lights, camera, action! Manifesting Generators are the true builders in the world. STRATEGY: Wait to Respond: Then...Inform others before taking Action. You are designed to do work that you love and to find the right partner in life. You (along with Generators) are potentially the most powerful of all Types once you understand your design and find the right work for you. The correct decision making and action taking strategy for you is to wait to respond (to specific opportunities or anything in your outer reality) and then take action based on your internal response. You can respond to things, people and events around you and to yes/no questions. But like the Manifestor, you must also inform those in your “impact field” before you take action. Some frustration, anger and impatience are a normal and valuable part of your learning process. With awareness of your Strategy and the use of your Sacral energy as guidance, you can minimize any unnecessary frustrations and anger, and maximize your learning curve and your correct decision making in all areas of your life. ROLE: You are here to guide and direct others. Projectors must be invited into action in order to activate their power. If you wait to be invited you will have many delightful opportunities, including the big choices in life: marriage, career, business opportunities, and where you live. The keys that unlock your inherent power and wisdom are recognition and invitation. Only accept those invitations that delight you, then take all the action you need. Because sometimes Projectors have to wait a long time for an invitation that is right for them, they can become bitter and feel that they are not being valued for their gifts and for their genuine desire to help others. When properly recognized and invited, Projectors make great leaders and can be very wise. ROLE: You are a wise observer. You magnify and reflect all that is around you and mirror it back for others. STRATEGY: Wait one lunar cycle, while discussing your options with others. The correct decision making and action taking strategy for you is to wait 29 days (a full moon cycle) before making important decisions. During this period you need to talk with others about your decision and wait for the clarity that comes with time. Once you have reached a decision, then you can take all the action you need without any further waiting. As a Reflector, you experience people on a very deep level and can know a person in a way that most of us cannot. Reflectors who do not understand how their Design works can feel deeply lost and overwhelmed by life. When you don’t play your assigned role or follow your strategy, you will meet with lots of RESISTANCE! The key for everyone is to live your life by design, rather than by default!! NOW ! WHAT IS YOUR NEXT STEP FOR USING THIS INFORMATION TO IMPROVE YOUR LIFE? Your Type and Strategy will be clearly shown on the bottom half of your Chart. This really is the key—THE SECRET—to making better decisions in everything you do. When you know and USE the correct decision making and action taking strategy—the one that is specifically correct for YOU; your life begins to flow better, gets easier, makes more sense, and becomes more manageable (and did I mention more enjoyable!). Your Type and Strategy allow you to understand yourself at a deep level, to know how you operate, and to know how you can best work with others. Most people don’t spend enough time on understanding these aspects of themselves. They think it’s fluffy information that won’t get them results, but the contrary is true. This information can bring you SIGNIFICANT and truly amazing results in your life. In fact, it can completely turn your life around! Click here for your free chart. If you already have your personal Human Design Chart and a copy of my book “45 Minute Business Breakthrough” from me, you may be wondering what’s next for you. 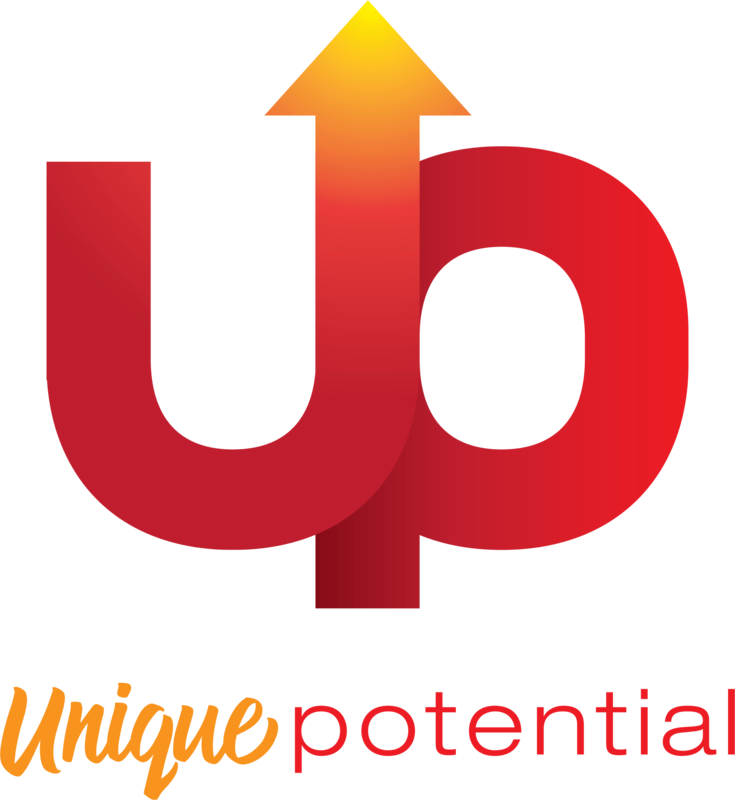 Please visit my website GettingUPnow.com to choose from the products and services I offer that help you align with your Authentic Self and live the life of your dreams! But if you don’t have your Unique Human Design Blueprint yet, I recommend that you go ahead and request it now. Simply click here to get started on receiving your free chart. As soon as I receive your information I’ll run your Unique Human design Chart an email it within 3 business days. Plus as a bonus, you will receive instant access to my e-book “45 Minute Business Breakthrough” so you can market yourself to the top. The only one stopping you from discovering about you.. is You.. take action NOW! The Foundation Reading is the first recommended reading after learning about Human Design. This important reading sets the foundation of your experience and will provide you with a clear understanding of how your energy is designed to operate and how you make decisions from your body’s consciousness. You will come away with practical tools for accessing your own inner truth (strategy and authority) and the mechanical knowledge of your potential gifts and possible pitfalls. You will be able to begin your experiment right away. You will receive a 60-90 minute downloadable recording that focuses on you and includes a 30 minute one-one session for any questions. 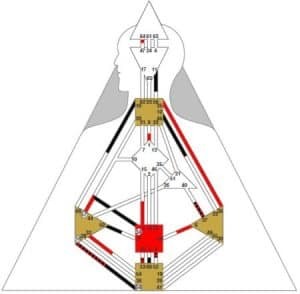 This is also called the "Unique PotentialTM Human Design Reading". This no-blame analysis sheds light on the relationships in your life. Any relationship qualifies: spouse/partner, lover, family member, co-worker or friend. We will explore the conditioning elements at play so you can begin to understand how the mechanics are affecting your relationship. We will take a look at the overall themes present in the relationship as well as the potential challenges and places of ease. This reading brings acceptance and understanding. Once you understand the working mechanics at play you will have the tools for improved communication and mutual understanding. Correct relationships are very important and you are here to relate to the other as yourself. This is the most detailed of the Cycle Readings and it’s a great birthday present to yourself. Here, we look at the conditioning elements for the year ahead. Each year brings educational opportunities and personal connections. We will look at the themes and people you will encounter and how to navigate the conditioning field as your true self. The Saturn Return is the beginning of the movement into adulthood. This is particularly important if you have a 6th line in your Profile and can help to bring a sense of relief. The Uranus Opposition is the mid-life period. Here we focus on the transition from the South Node ‘breathing in’ to the North Node ‘breathing out’. Another significant shift in the life occurs at this time. Kiron is a time of flowering as an adult and shows you exactly what you need in order to complete the maturation of your consciousness process. This map of the true and correct self will reveal the potentials of wisdom as you learn what will enrich your process. We cannot know exactly what our life’s purpose will look like but this reading will reveal the stage and movement of your life. We’ll look at the major themes and potentials as you become more correctly aligned as yourself. BG5 is a part of Human design that will help any individual find their optimum place in the work world and help small businesses improve their profits, cash flow and efficiency. Based on a revolutionary new methodology, the BG5™ Success Code provides you with a very specific map to your unique design.